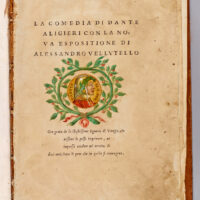 Audio recordings of the Italian text of the Commedia read by Professor Francesco Bausi of the Università della Calabria. 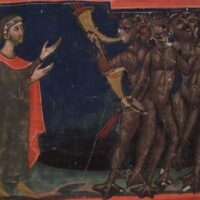 A critical guide, with illustrations, to medieval musical instruments mentioned in Dante's Commedia. Columbia students perform 12 sestinas as a chorus of intertwined voices. Several sestinas are accompanied by color-coded visualizations highlighting the looping mechanics of the poetic form.